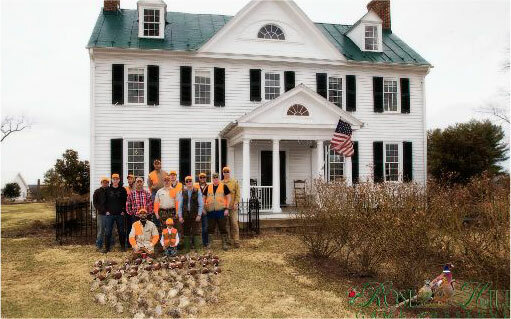 Northern Virginia's Premier Bird Hunting Preserve. We Still Have hunts available … call and book today! Historic Rose Hill Farm has been owned by the Ashby/Covington family since the 1800’s. Having always enjoyed hunting and the natural outdoors we now offer our 210 acres of prime habitat where upland preserve bird shooting is as natural as you will find anywhere. Pheasants, Chukar, Quail OH MY! Come experience the thrill of the hunt with a guided or non-guided trip. 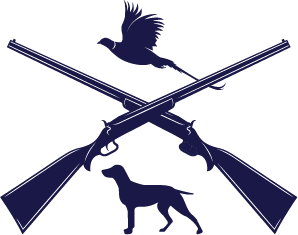 We offer Guided hunts with our Guides and their dogs or we invite you to bring your own, trained dog, to the grounds for a non-guided outing. 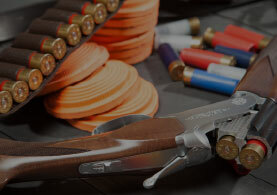 Choose what hunt you would like and call today to reserve your spot! 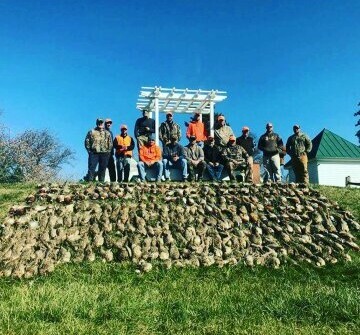 Pheasant, Chukar, Quail, or a mix of birds with multiple hunters, will be placed in and around ground cover in preparation for your guided or non-guided upland bird hunt. Perfect for large groups. A traditional European Tower Shoot will be fun for everyone and include lunch while your birds are being cleaned. Dating back to the 1800’s the property has seen farming, Confederate and Union occupations, and a bit of war scars to the building itself. Thank you Doug, for a wonderful time! You were very professional and patient with us. My daughter Mary and I are eager to return. Many thanks!!! Excellent service and camaraderie. This is a local preserve that will continue to get my business. We have made many family memories here and will continue to. This past hunt we had Dean as our guide. He was excellent working with my young son and nephews. The farm is beautiful! 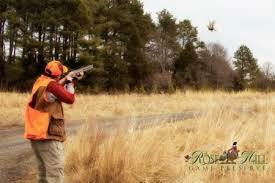 The guides are safety-conscious and very patient when working with a youth hunt. Loved watching the dogs work! Dove hunted in near 100° weather today. The guys at Rose Hill went above and beyond to make sure we were comfortable, had plenty of water, and enough snacks. 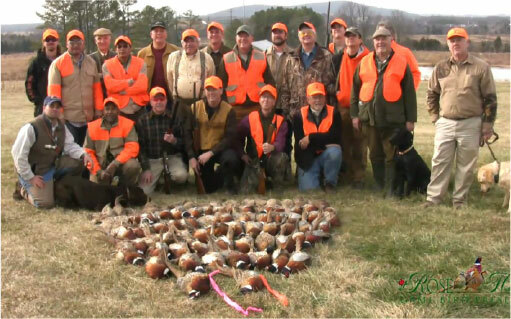 Cant wait to book a few pheasant hunts later this fall. My son and I had a great time yesterday at Rose Hill hunting chukar. From the time I booked the hunt almost two months ago to the moment we left with great memories and a cooler filled with our birds, the service was great. The office staff couldn't be friendlier and more helpful. Our guide, Dean, was a great guy to spend time with did an excellent job of teaching us a few things and keeping everything safe as we enjoyed a morning walking the fields and shooting birds. Dean's dog, Lady, was just a delight to watch as she roamed the field looking for chukar, pointing, and retrieving them. Dean and the rest of team at Rose Hill are very friendly, genuine people who make you feel at home. We will be back! My father and I had a wonderful hunt over Veterans day. Can't say enough about Rose Hill staff and guides! Manuel was an awesome guide and can't wait to book another hunt! 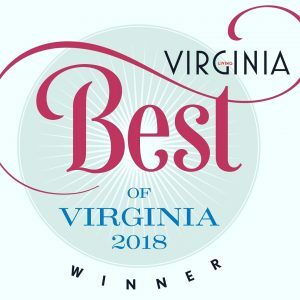 Rose Hill is a great place! The staff is awesome and friendly!!! Love it! Highly recommended!!! Copyright © Rose Hill Farm. All rights reserved.